Planning for a wedding is a difficult task as it involves various activities. Indian wedding comprises of several traditions and practices that are given more importance. The significance of decorating the wedding hall is also evident in many traditional and modern wedding we witness. Decorations play an integral part in an Indian wedding. They enhance the festive mood of the wedding celebration. You need to prepare a checklist before you plan for a perfect wedding decoration. You also need to concentrate on the stage decoration for reception. The following article helps you to prepare a checklist so that you can plan out for a best wedding stage decoration. By following the checklist, you’ll not miss out the major elements required for the decorations. It is a place of prime importance as the majority of the wedding rituals take place in this place. It is the main center of attraction among the whole wedding hall. You can look out for the various ways to decorate your wedding stage. You can pick from the choice mentioned below. You need to make a choice of the décor elements well ahead before the wedding. 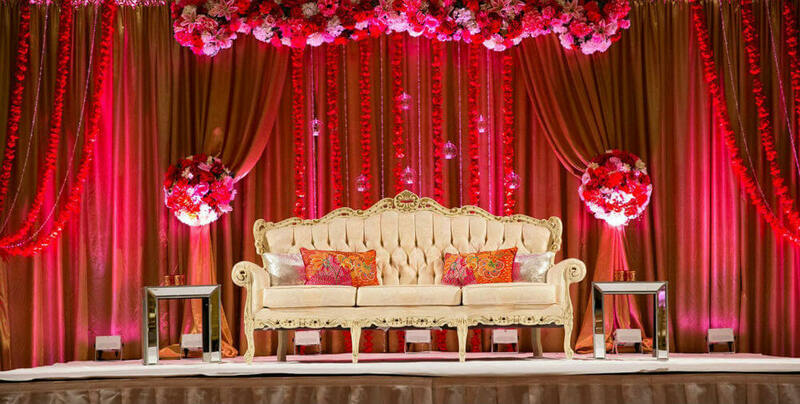 Couples should sit together and decide on the style of the mandap decoration. The marriage rituals usually take place in the mandap. So it is necessary for the mandap to look attractive and beautiful. You need to decide on the various décor elements to be used for the mandap. Centrepieces: You need to choose an elegant and attractive center piece which should be placed in the table of the guests. Floral centerpieces are the proffered choice by most of the couples. You can also make us of other unique types of centerpieces available in the market. Lighting: You need to arrange for the lighting arrangements well ahead of the wedding. The area to be decorated with light and the type of the light should be made sure before the start of the decoration work. Draping: You need to decide on the type of draping for the backdrops, chairs, and tables. The choice of the material to be used, the color is of more importance as it enhances the mood of the wedding celebration. This element is usually missed out in most of the weddings. 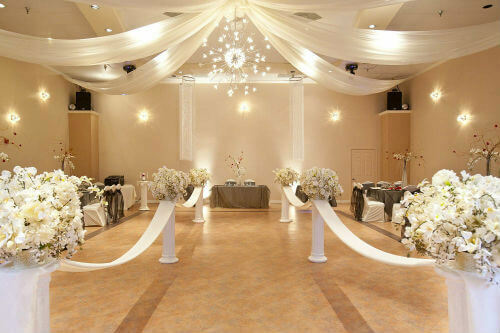 You need to choose a perfect carpet to cover the floor of the marriage venue, the stage, etc. The above are the checklists to be used for planning for your wedding stage decoration.